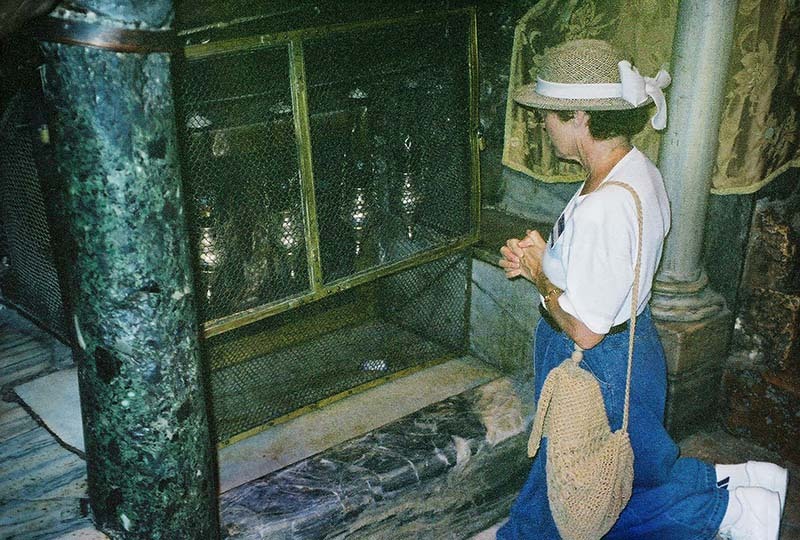 This is not a place of seeing what the birthplace of Jesus looked like 2,000 years ago. For centuries, the manger location has been covered in marble, and votive oil lamps have been hanging in front of an unknown artist’s expression of love for the Holy Family. What this is, is a place of letting your heart become the manger where Jesus is born anew. Thus, your life will never be the same. The Church of the Nativity is truly a place of worship. 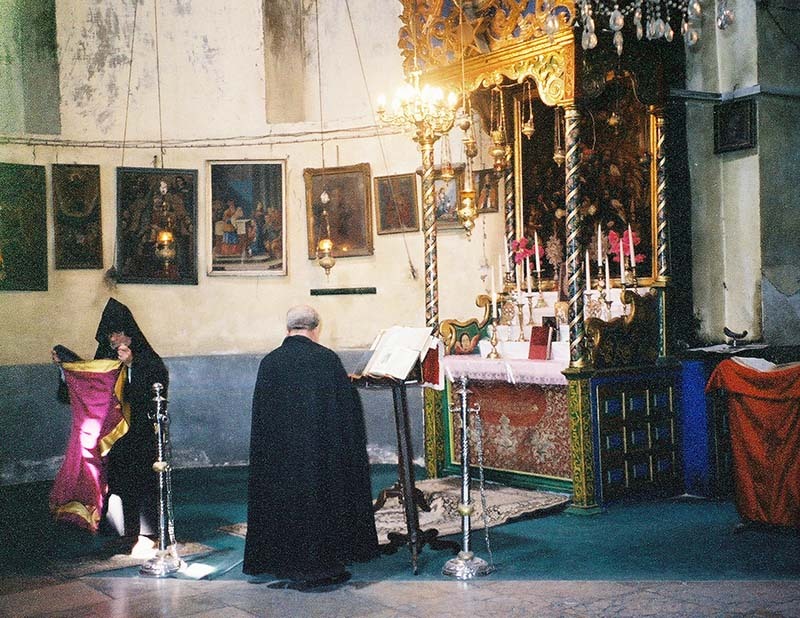 Below, an Armenian Orthodox priest is being readied for prayers by a side altar, with no thought of the distractions of the many tourists walking by. Jesus my Lord, help me to put aside all the distractions that keep me from spending quality time with You! Amen!